But looking at the case, filled with puffy, golden croissants, mini cheesecakes molded into roses, and muffin cups stuffed with monkey bread, I tried to talk myself out of the cookie. You can get a cookie anywhere, logical Me thought. You should get something French here. A pastry perhaps? As I always do when in doubt I asked an employee for a recommendation. This is always a tricky thing to do. You can never assume that someone else’s taste is akin to your own, especially a stranger’s, and yet I continually hope that someone with “knowledge” will steer me in the right direction. 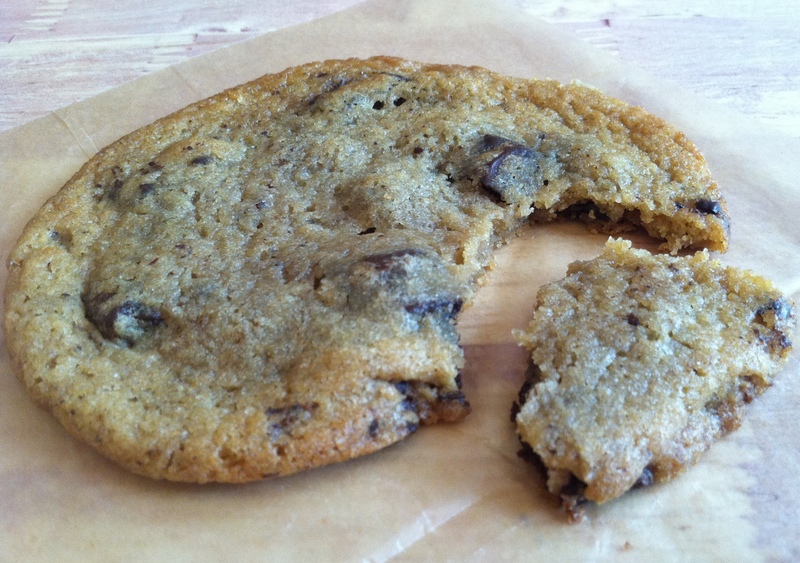 “The chocolate chip cookie,” the cashier said, “is one of my favorites. You should get that.” Fate. 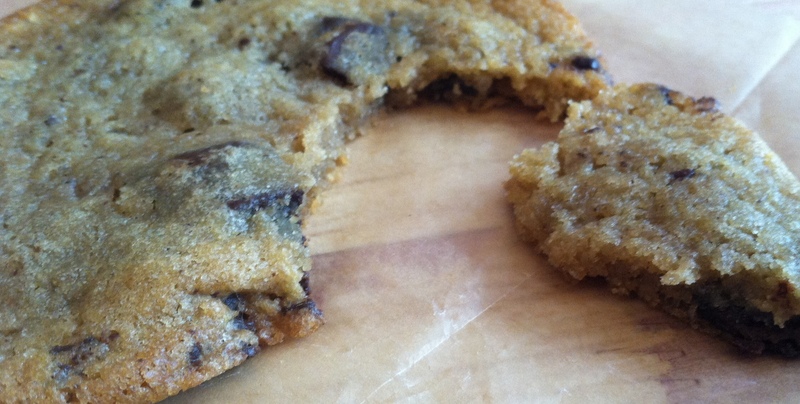 In fact, this cookie is so thin and soft that I nearly had an accident while walking it over to my table. See that lovely little morsel? That was where I was holding the cookie. Within ten seconds, the cookie started to wilt, and I knew that I was in danger of losing it all to the floor. Luckily, the Forces of Good were on my side; I saved it by dashing over to the table just in time. Gray skies clearing up, indeed.